Book | Dr. Tumi Johnson, M.D. I am dedicated to empowering others in their journeys of personal health, peace, and happiness, and this book was written with that intention. 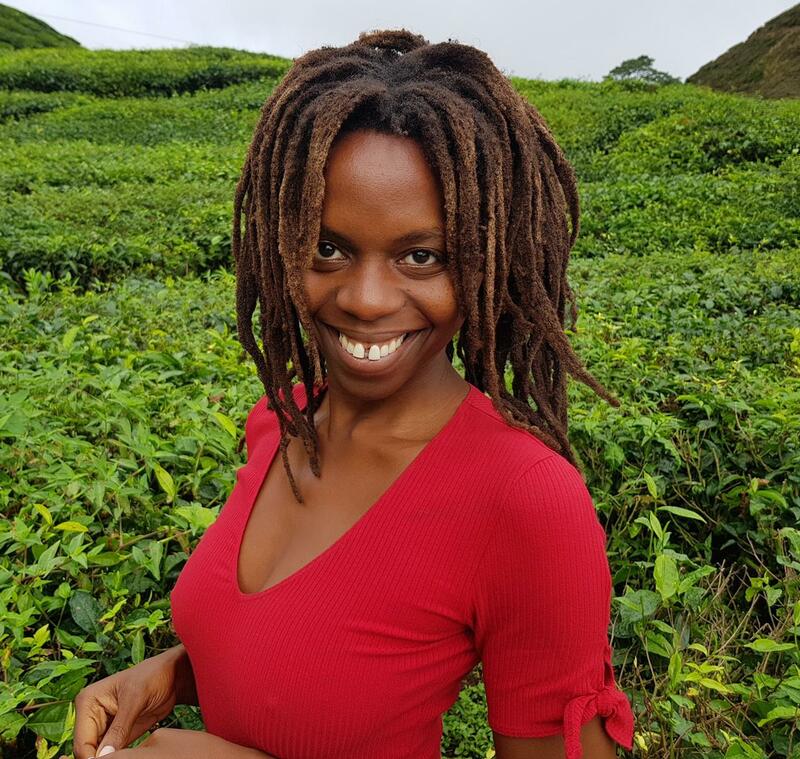 In Delicious Healing, I offer my personal story of overcoming depression, disordered eating and other diseases. I share my story to help dismantle the shame of the many who go through trauma and illness, often self-inflicted, as a testament that often our deepest wounds can be our greatest gifts, not just to ourselves but also to others. I wrote this book in part so that people will witness that even those “who know better,” medical professionals, can fall victim to disease-causing habits. This book is the doctor’s white coat being taken off in a very vulnerable way that I hope will be healing to anyone who mistakenly views physicians as super human or maybe even inhuman. 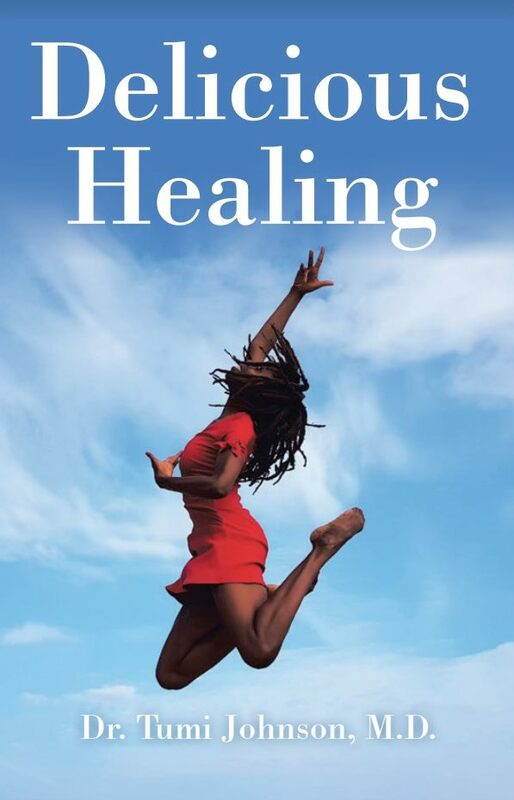 As both doctor and poet-dancer, through this book, I share a blend of practical, science-based advice blended with art (through poetry and dance). I believe this blend reaches the heart and can motivate and transform in a way that just the facts never can. More than anything else, this book is offered in love, the most powerful healer of all. McDonaldization was a term used by sociologist George Ritzer in his book The McDonaldization of Society (1993). It is described in the book as what occurs when a society takes on the qualities of a fast-food restaurants. Kristeller JL, Wolever RQ. Mindfulness-based eating awareness training for treating binge eating disorder: the conceptual foundation. Eat Disord. 2011;19(1): 49-61. Daubenmier J, Kristeller J, Hecht FM, et al. Mindfulness intervention for stress eating to reduce cortisol and abdominal fat among overweight and obese women: an exploratory randomized controlled study. J Obes. 2011; 2011: 651936. Timmerman GM, Brown A. The effect of a mindful restaurant eating intervention on weight management in women. J Nutr Educ Behav. 2012;44(1):22-28. 3) Knutson KL, et al. Role of Sleep Duration and Quality in the Risk and Severity of Type 2 Diabetes Mellitus, Archives of Internal Medicine. 2006 Sep 18; 166(16):1768. 4) Gottlieb DJ, et al. Association of Sleep Time with Diabetes Mellitus and Impaired Glucose Tolerance, Archives of Internal Medicine. 2005 Apr 25; 165(8): 863. 10) Spiegel K, et al. Impact of Sleep Debt on Metabolic and Endocrine Function, Lancet. 1999 Oct 23: 354(9188): 1435-9.